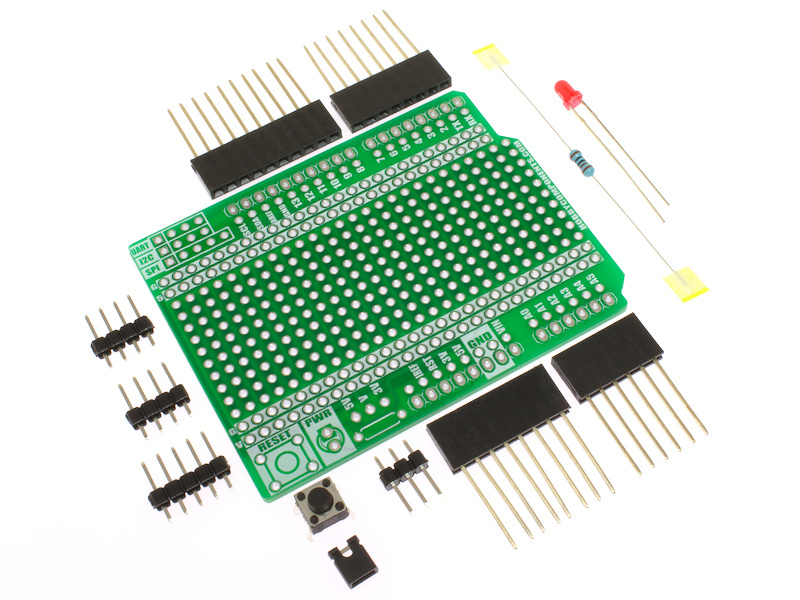 The Hobby Components prototyping shield for the Arduino Uno allows you to add your own custom designed shield to an Arduino Uno. 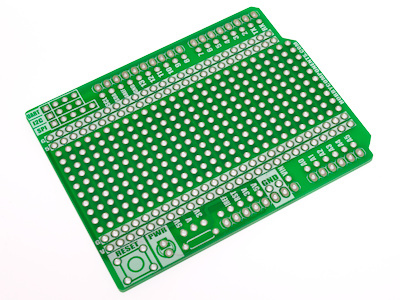 It contains a standard 0.1" pitch prototyping area laid out in a standard breadboard style format. 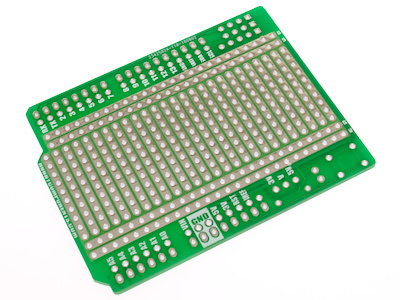 Power supply rails run the length of the prototyping area proving GND, 5V and 3V/5V selectable. 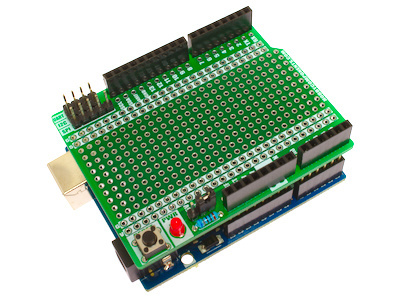 The shield also includes a reset button, power indicator, and separate headers for UART, I2C, and SPI interfaces. Will this shield work with a Leonardo? 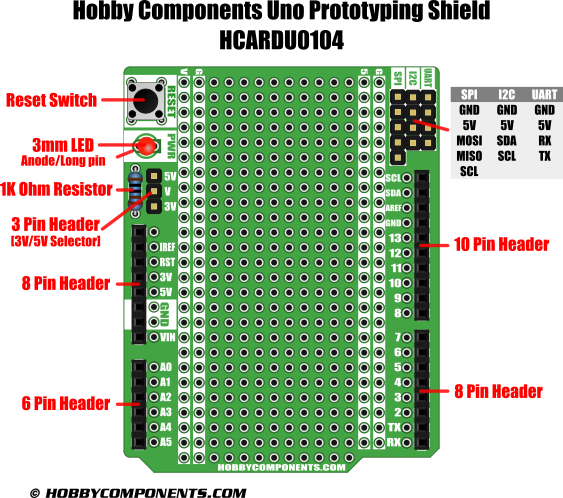 Yes with the exception of the SPI header.